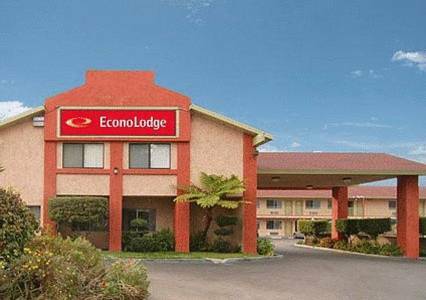 The Econo Lodge Anaheim North hotel in Anaheim, CA is an easy stop on the road. Our hotel is near attractions like the Angel Stadium of Anaheim, Anaheim Convention Center, Downtown Disney District, Disney's California Adventure and Honda Center. Amenities include free Easy Starts continental breakfast, free WiFi, an outdoor heated pool, copy and fax services and guest laundry facilities. Rooms include TVs, coffee makers, microwaves and refrigerators. Some rooms include desks. For all reservations a valid ID is required for check-in. If credit card is declined, the reservation will be automatically cancelled. Free parking for 1 car per room. Pool hours are from 9 AM to 9 PM. Also, earn rewards including free nights and gift cards with our Choice Privileges Rewards program.